Enrich your surroundings with the grand elegance of Golden Eagle Collection. 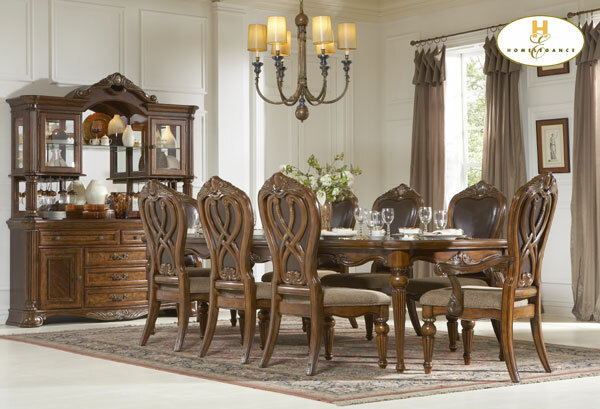 If you appreciate traditional forms, exquisite shapes, graceful curves and artistic hand work, the Golden Eagle Collection will lift your spirits each time you dine. 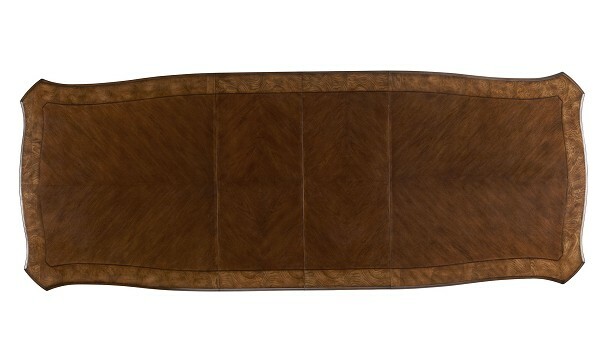 The collection is dramatic and graciously scaled with pecan veneers accented by distinctive ash burl veneers. Cameo marble inserts punctuate the crest of the china and bonded-leather chair backs, as they are supported by bold relief scrollwork. Caramel finish with subtle gold tipping to accent the carving further enhances the grand elegance of Golden Eagle Collection.